If you start with Agatha Christie and Downton Abbey, add in some Monty Python and Benny Hill, then mix it all thoroughly with fun music, talented performers and one of the most versatile sets to grace a stage, you'll get A Gentleman's Guide to Love & Murder, running now at The Playhouse on Rodney Square. The Tony Award-winning play -- based on a 1949 film, which was based on a book published in 1907 -- is a delightful comedy centered around one young man's attempt to woo the woman of his dreams while systematically knocking off one relative after another to gain a title, a mansion and the family wealth. Photo supplied by The Playhouse on Rodney Square. Monty Navarro is played playfully by Kevin Massey, who seems to embody a young Danny Kaye as he moves around the stage, especially in a scene involving two doors, two women and an attempt to make sure the two women do not meet. John Rapson delights the audience playing nine (yes, nine) members of the D'Ysquith family -- young, old, men, women -- Rapson changes costumes, make up, accents and personalities in seconds and as each family member is dispatched in a different way, we find ourselves curious as to what the next family member will look and sound like. Kristen Beth Williams and Kristen Hahn play the dueling love interests of Monty with angelic voices and remarkable comic timing. Rapson is not the only cast member who gets to play multiple roles: An ensemble of talent play townspeople, wedding guests, mourners, servants, law enforcement and more throughout the play. During intermission, several audience members expressed amazement at the innovative set, which takes everyone from church steeples to frozen lakes to gardens and at least a dozen other locations with the help of a giant video screen. 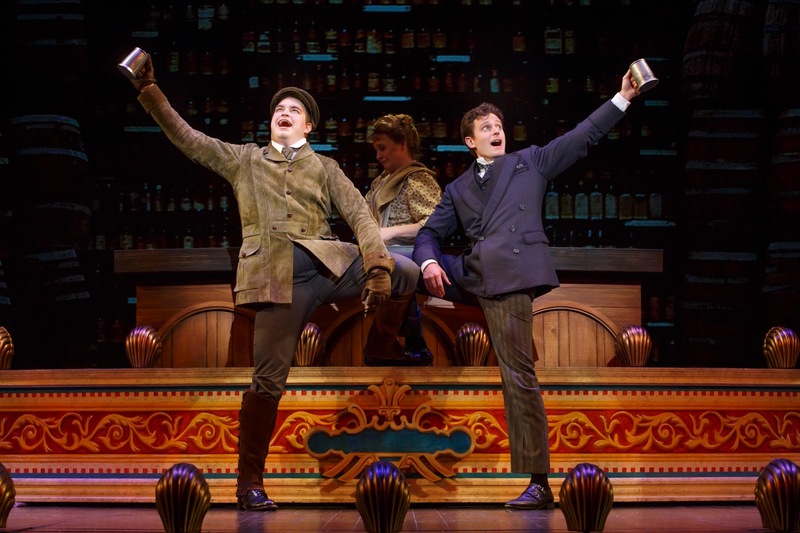 If you're up for a fun, engaging and delightful dish of entertainment, you'll want to reserve your seat for A Gentleman's Guide to Love & Murder. 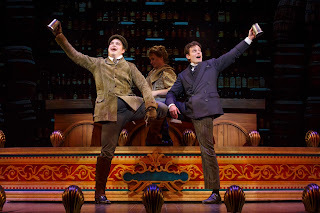 A Gentleman's Guide to Love & Murder is at The Playhouse on Rodney Square until Sunday, November 20. Order your tickets HERE. The Holiday Show for the Whole Family to Enjoy!